Hi guys! 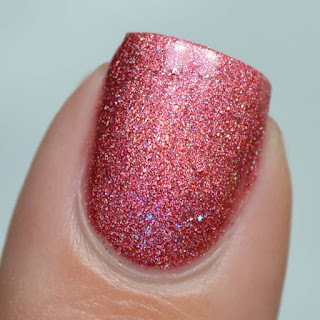 I'm back from vacation, so I thought I would start the blog off with something sparkly. 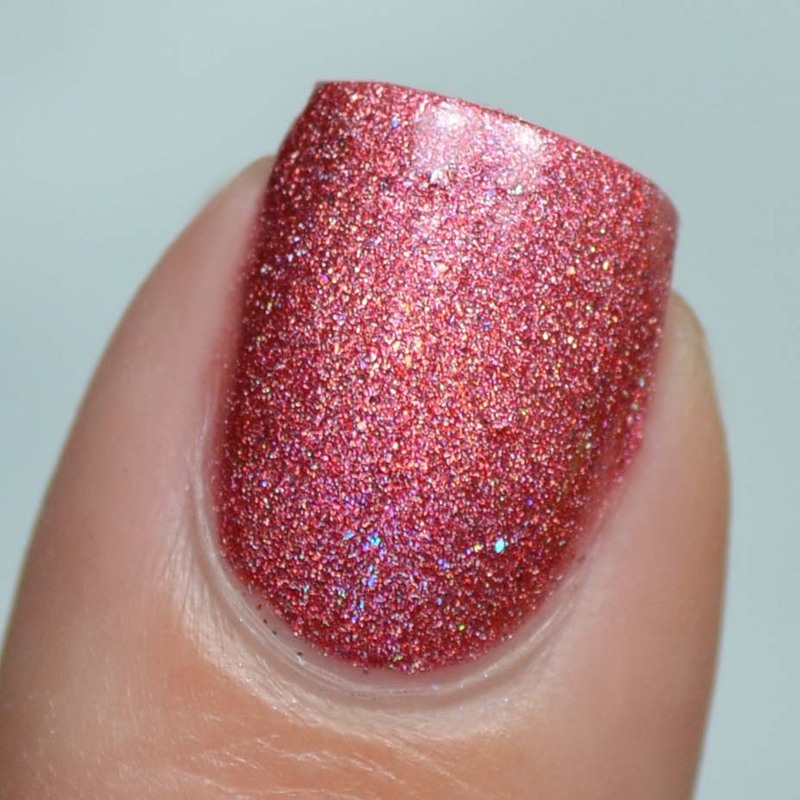 Holos are my go-to when I'm feeling lazy but need something pretty. 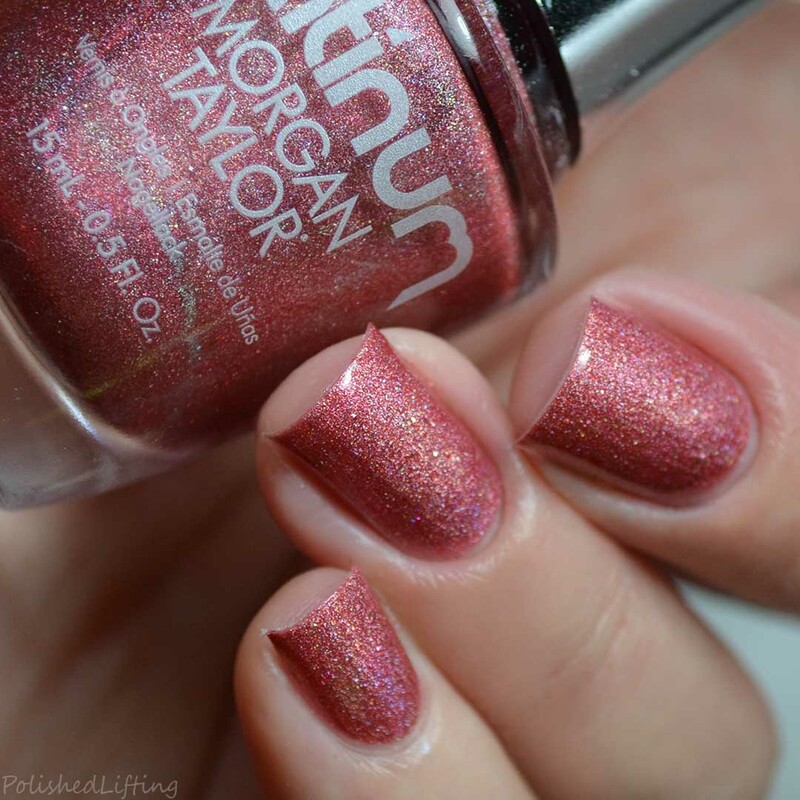 Today's post features the second half of the Morgan Taylor Platinum Collection. I published the first half of the collection earlier this year. If you missed that post be sure to check it out! Notes: This pretty, rich blue reaches full coverage in two coats. The best part? It didn't stain when I removed it! Notes: You guys know that I'm obsessed with green, so Disco Days was an immediate favorite. The one coat coverage was an added bonus. Notes: The dusty twist to Glow All Out is just what I needed to round out my reds. This one is just lovely. I hope you didn't think I was going to leave this with simple swatches! 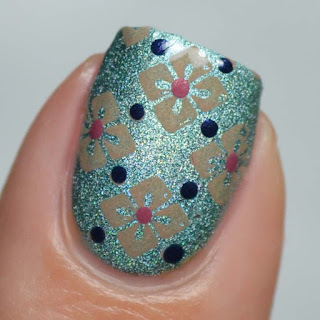 I was so inspired by the earthy toned holos that I wanted to do a vintage flower look. This is also a slight sneak peek of the upcoming Morgan Taylor African Safari collection launching in August 2018. For this look I started with a base of Disco Days. Once that had time to dry I stamped over it using MoYou London Asia Collection 02 and Morgan Taylor Neutral By Nature. While I liked the flowers alone, I felt like I wanted to add something more to this look. I started by dotting the center of each flower with Morgan Taylor No Sudden Mauves. At this point I really liked it but it still needed something else to finish off the look. I finally decided to add accent dots with Morgan Taylor No Cell? Oh Well! The colors are kind of unusual together, but I really love how this turned out. 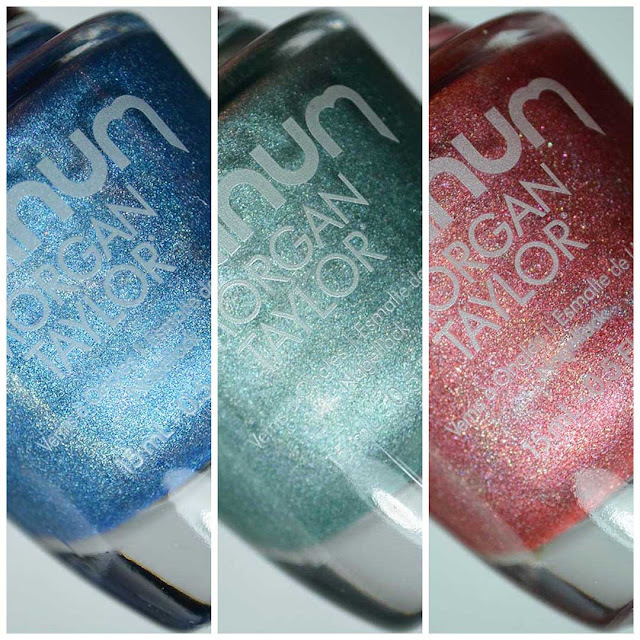 The Morgan Taylor Platinum Collection is currently available for a limited time through select retailers. 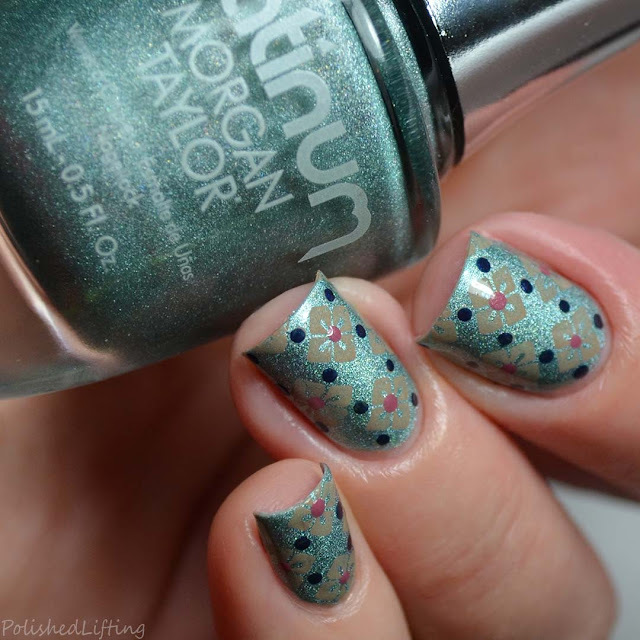 If you enjoyed this post you might like Morgan Taylor Make A Splash Collection | Summer 2018 and Summer Cactus Smoosh feat. Born Pretty Store & Morgan Taylor.